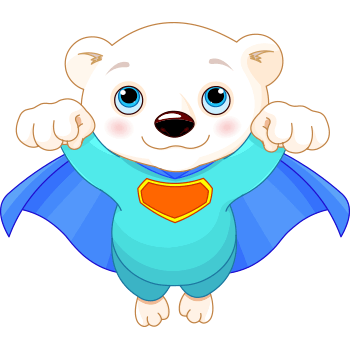 Lend a super-sweet touch to your post with this adorable polar bear. You can save your friends from boring posts by adding eye-catching images to your text. Our polar bears can be featured in Facebook messages, status updates, or comments sections. You can use them every day for free.